A cluttered workplace leads to distractions, stress, and contributes to cleaning challenges that can result in a filthy desk and equipment that is covered in germs, ultimately resulting in illness and absenteeism or presenteeism. Clutter in the workplace can be disastrous for personal health, profitability, and productivity, and can be a sign of underlying emotional and psychological challenges facing occupants. Clutter is bad for your physical and mental health. Too much clutter can be a fire hazard. Dust, mold, and animal dander that collect in cluttered homes are all bad for allergies and asthma. Clutter may even be making you fat. Excessive clutter and disorganization are often symptoms of a bigger health problem. People who have suffered an emotional trauma or a brain injury often find housecleaning an insurmountable task. Attention deficit disorder, depression, chronic pain and grief can prevent people from getting organized or lead to a buildup of clutter. At its most extreme, chronic disorganization is called hoarding, a condition many experts believe is a mental illness in its own right, although psychiatrists have yet to formally recognize it. KonMari is a decluttering technique developed by author and Netflix star, Marie Kondo, which helps people identify items they have surrounded their life with that are harming their happiness and productivity, and translates well into the workplace. Several studies have demonstrated the surprising impact workplace clutter has on employee mental and physical health, as well as their resulting output, productivity, and creativity. Manufacture challenges when trying to relax, both mentally and physically. Constantly signal to our brains that our work is never done. KonMari has several simple guidelines to follow for tidying up your life and increasing happiness. Commit yourself to tidying up - This can be one of, if not the most difficult rule to follow--fully committing yourself to decluttering your workspace and removing all the distractions that are stressing you out and making you sick. Imagine your ideal lifestyle - Look at your desk, cubicle, or office. Now imagine how you want your work-life to function, and then ask yourself--'does my current environment fit the life I imagine?' Where it does not, it is likely something that needs to go. Finish discarding first - Now it's time to get rid of all the things in your workspace that you know you don't need including old notes and other garbage in general. Tidy by category, not by location - In an office space, and with a clean for health first focus, it's best to start with paper, which can severely hamper cleaning efforts, attract dust, and ultimately lead to the accumulation of dangerous bacteria. Follow the right order - While it may be tempting to jump ahead, the process itself can lead to a certain level of freedom and should be adhered to. Ask yourself if it sparks joy - From a workplace perspective, you should also qualify this rule by asking yourself if you actually need something to do your job. Do you really? 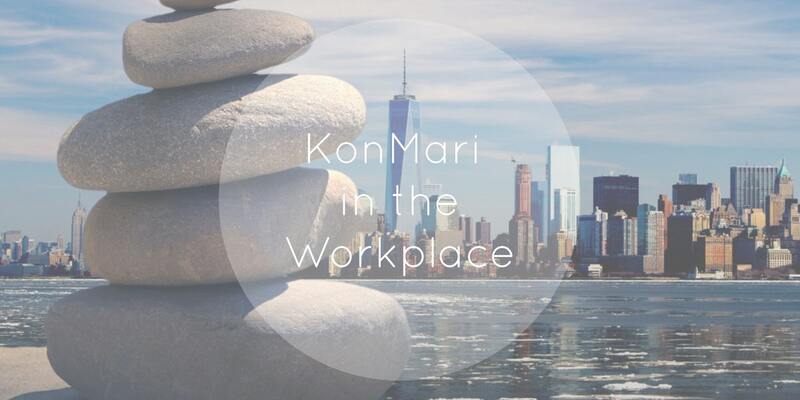 The KonMari Method – Can it Work at the Office? A clean office is a safe, healthy, and productive one. There are less injuries, less time taken off work, more positivity, a better impression with clients, less staff turnover, better productivity and turnover, and a major stress reduction for all concerned. Cleaning up at work is clearly less costly than the long-term psychological effects of an unclean workplace. Partnering with a professional janitorial services team that has your employees backs and understands the importance of a clean, safe, and clutter-free working environment is critical to success in the modern business environment. If you would like to learn more about the production increasing advantages of a decluttered and well-maintained workplace, or the cost-saving benefits of outsourcing your organizations janitorial and infection control initiatives, contact us today for a free quote!